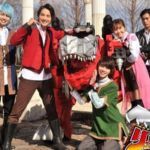 Tokunation › Super Sentai › New Mecha and Ryusoul Gold Incoming? New Mecha and Ryusoul Gold Incoming? 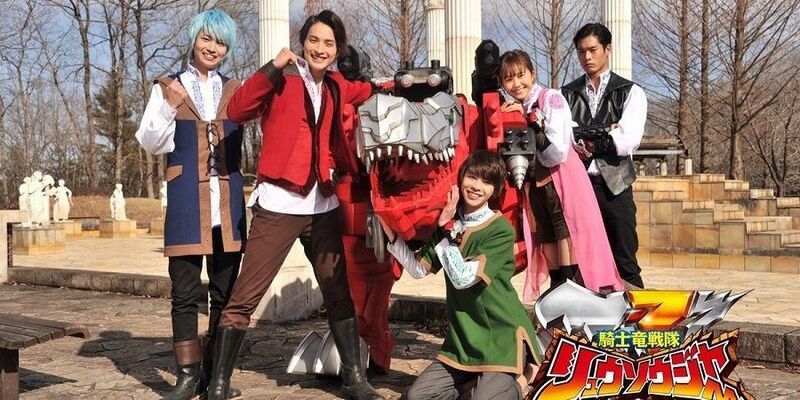 We’ve only just recently had our cast reveal, and yet more information for the much anticipated Kishiryu Sentai Ryusoulger has come our way. 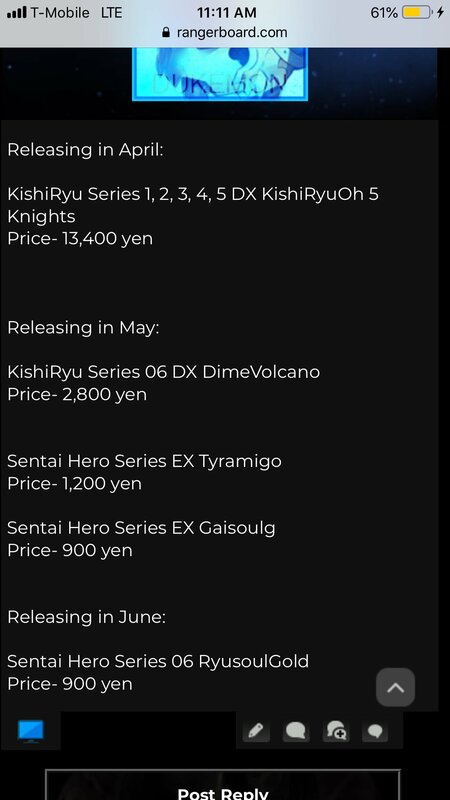 The following information comes from CraneJoe, who lists a Ryusoul Gold Sentai Hero series vinyl in June and DimeVolcano as the next Mecha. This seems to suggest that we may be getting our 6th team member earlier compared to past series. 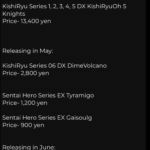 In addition, CraneJoe lists a DX KishiryuOh set which presumably contains all five mecha for the main team due out in April for 13,400 yen. Of course, the scans themselves have yet to come out. But given CraneJoe’s track record, we have reason to believe that this information is accurate. Still, please take this with a grain of salt until we get more information.